Each Memorial Pendant is a handcrafted keepsake that encases a small amount of cremains in beautiful, durable annealed glass. The cremains are rolled into layers of molten glass. This process creates a unique, eternal symbol of everlasting love honoring your Beloved. The cremains are very carefully tracked and respectfully handled. Any unused portion will be returned to you with your completed order. One you place your order, you will receive a kit containing everything that you need to collect and send the cremains safely back to the studio. 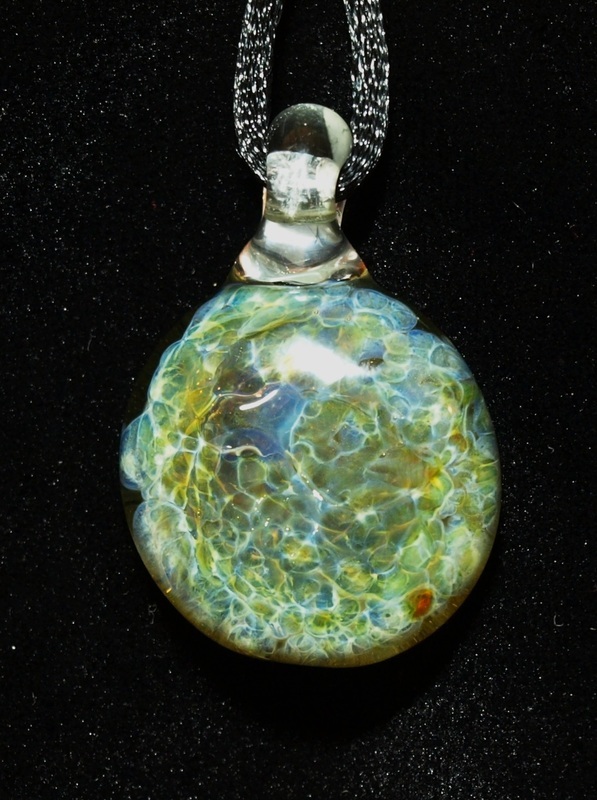 See pendant photo samples below. 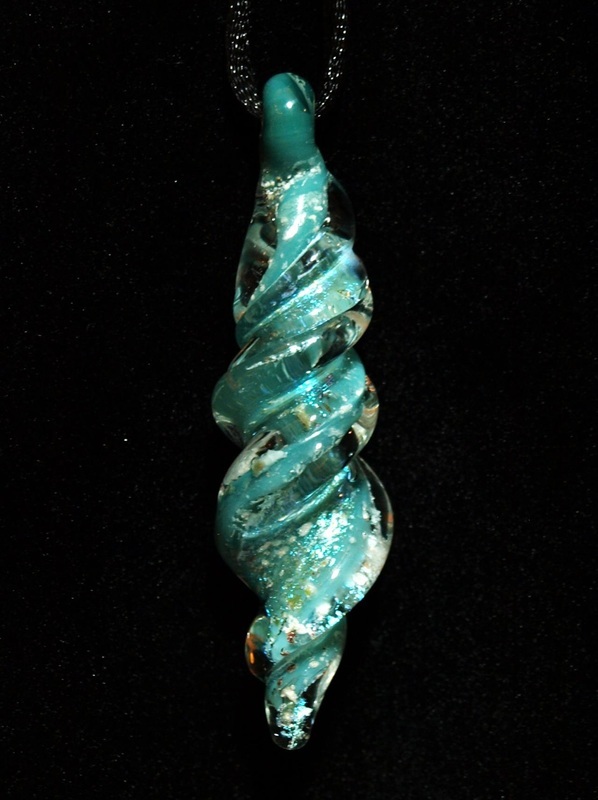 Each piece is uniquely handcrafted and no two pendants are the same. To order a Memorial Pendant, send payment of $120.00, and you will receive your cremains collection kit. You may make payment by check, money order or Paypal. Once your payment is received, a kit should arrive to you within 5 business days, which contains everything you need to collect and send the cremains safely back to the studio. Simply follow the directions included inside your kit, and mail back using the prepaid, pre-addressed packaging via the U.S. Mail. The cremains are very carefully tracked and respectfully handled. Any unused portion will be returned to you with your completed order. 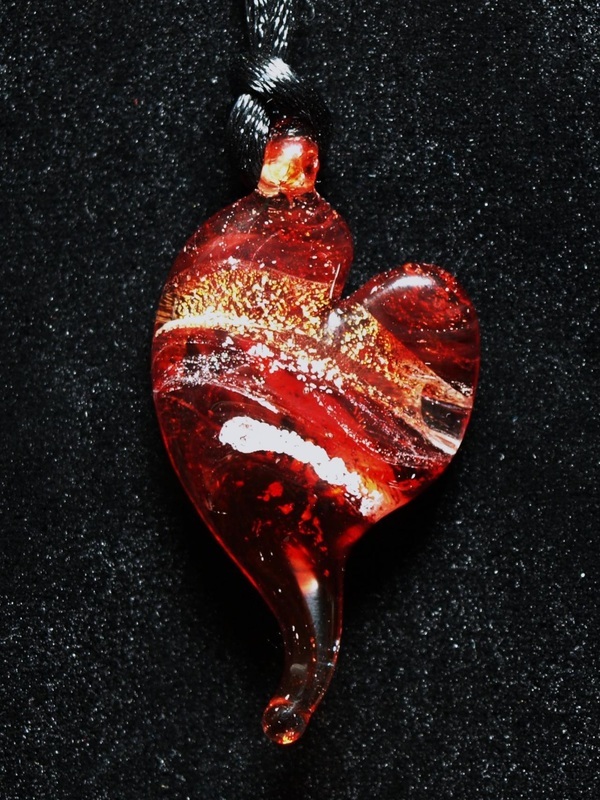 Your unique, handcrafted pendant will be sent to you usually within 10 business days. Please feel free to contact me with any questions or concerns you may have regarding the creation process or your order. I can be reached via phone, email or through the website.